This is one of my favourites, first pictures which I took in Shanghai. It's not perfect, but I love it! I couldn't believe that I managed catch such excellent moment of game. 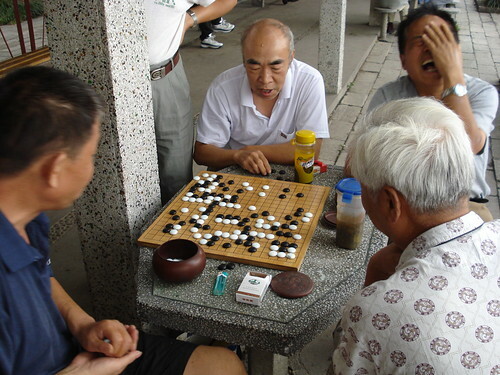 My favourite persons on this picture are: laughing man and this one focused on game.